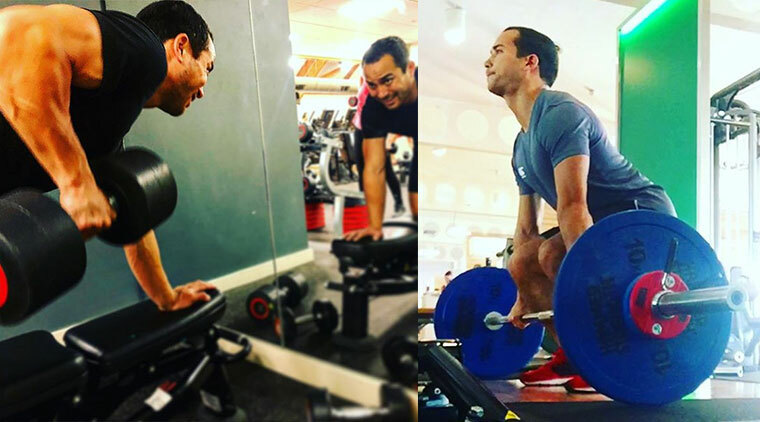 This month’s Trainer Spotlight features Adam Hewitt – Manager at Fitzrovia and Notting Hill and Clinical Lead for our bespoke exercise prescription programme – TenClinical. Adam shares his passion for helping people to move better along with his love of the great outdoors and a West End show. What’s your day-to-day role at Ten? I’m a Group Operations Manager across two busy Studios and also Clinical Lead of TenClinical. One of Ten’s values is ‘people driven’ and my role is absolutely dictated by this. I am fortunate enough to work with like-minded people who are experts, ambitious and get as much happiness as I do from helping people. On a day-to-day basis my role is varied. Dynamic Reformer Pilates classes are at the centre of everything we do at Ten, so much of my time is spent carefully planning our schedule and ensuring that plans are in place months in advance so that our clients can enjoy classes at times which will fit their busy schedule. I teach classes a couple of days a week, and also see clients for 1-1 sessions, many of those being with our Clinical clients. When I’m not teaching and seeing clients I’m working with our team of Client Advisors, planning class schedules and leading CPD sessions for the whole team – I’m very focussed on the need for us to continually improve our skills and knowledge so that we provide the best possible service we can throughout Ten’s Circle of Care. Can you tell us about your role in Ten Clinical? TenClinical exists help people with a life altering clinical diagnosis – most usually cancer, heart disease, diabetes or menopause and women’s health issues. By providing bespoke, clinically proven and specialist physical exercise, we help maximise quality of life for clients living with these conditions, or their aftermath. 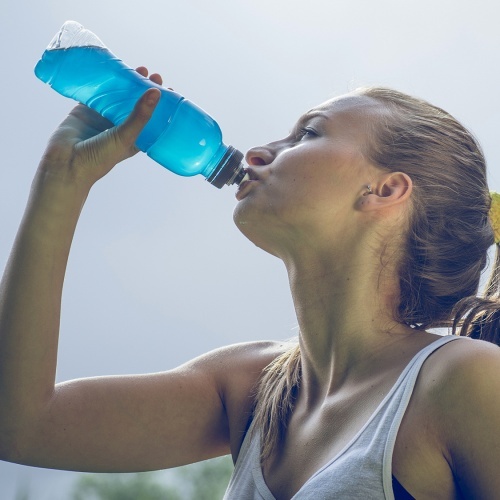 The evidence in support of this kind of exercise prescription, both during and after treatment is huge – both in supporting the benefits of their treatment and improving all sorts of outcomes, including the speed and quality of their recovery, as well as having a massive impact on their emotional and mental wellbeing. So as you can imagine, being Ten’s Clinical Lead can be demanding and challenging at times. It’s also hugely rewarding and motivating. Much of my time is spent with working with Clinical clients, supporting and developing our clinical team and meeting with the hospital teams, surgeons, consultants and specialists who refer many of our clients to us. This is the first year of TenClinical’s existence, but it’s going very well, and we aim to clinical exercise prescription within all of Ten’s studios over the coming months. What do you enjoy most about working in clinical exercise? Quite simply, the massive difference that we’re able to make to our clients – physically, emotionally and mentally. I find that just so rewarding. We’re helping to support people during what is often one of the most difficult period, if not the most difficult period, in their lives, and I think I’m often as excited and moved by the successes we’re able to help them achieve as they are! What can clients expect from your classes? My classes always start with a smile, as I am always thankful that clients have chosen to take time out of their busy lives come to my class. The hardest part of any fitness journey is getting through the door and I don’t think that is remembered or celebrated often enough in the fitness industry. I pretty upbeat, and am often recognised for my energy. I want people to remember my classes as much for being a fun experience as for being tough and effective workouts. Its also important to me that my classes are technically sound, ensuring that the exercises I use and the sequences I put together are not only challenging but also functional and correct. Far be it from me to boast, but I’ve also been told that I have some pretty decent playlists! What inspired you to want to work in health and fitness? Health and fitness has always been a passion of mine. I have been asked this question many times throughout my career and the answer has remained consistent – I love helping people. I am intrinsically a ‘helper’ and get so much personal satisfaction from hearing that work I have done has helped someone move better, that they’ve seen and felt the difference, and that they’ve enjoyed themselves through the process. As I have progressed, my ‘want’ to work in this industry hasn’t always been consistent. Standards in the fitness industry vary widely, and I became quite demotivated by the general lack of expertise – I felt that true experts were very hard to come by and that the industry was failing to provide clients with the care and service that they deserved. As a result I lost some of my direction and passion – so much so that I left the industry for a short time. I am proud to say that Ten has changed this and helped rekindle my passion. Partly because of Ten’s focus on expertise and excellence, and partly because of the calibre and abilities of the people I’m lucky enough to work with. What have you learnt since working at Ten? At time of writing, I’ve here just over a year, and I have learnt so much in that time. I feel that there has been a balance between the autonomy of developing my own experience along with receiving continued guidance. The management team in Ten is very strong and I have learnt how to further develop my leadership and management styles to get the best out of my team. Ten harnesses a learning environment, which is vital in the health and fitness industry, as the science behind what we do is ever changing and improving. The people. My team is passionate, fun and enjoy their jobs. (Or at least, they tell me they do!)! Ten does its best to inspire those who work as part of its team. It is dynamic, not only on the reformer but also, in its approach to grow, develop and continually improve. Being part of such an exciting work place is great because it fits so well with my personal goals and ambitions. I also love that Ten is driven by an individual’s personal setback – the ‘happy accident’ as we call it – and the desire to make something good come out of it. I find it really rewarding that I’m not just part of the journey but I’m also instrumental in helping Ten move forward towards its next stages. What would you be doing if you weren’t in this career? I have never given it a thought, but it would have to be something that brings me motivation by helping people. So…after much deliberation, perhaps a therapist. We live in a world that feels increasingly strained, and where so many people are feeling the physical, emotional and mental pressures – so I think this would be a rewarding career. When you’re not at Ten what can you be found getting up to? In addition to this, I can often be found in the gym myself. ‘Practice what you preach’, they say. It’s important to me to make time to go to the gym regularly so I can be confident in the work I offer. I am also a dog lover and although I cannot give a dog a good home myself due to my working hours, my wife and I enjoy walking our friends’ dogs on the weekend in the countryside in Hertfordshire. I love being outside and being as active as can. I find this therapeutic and the perfect way to refresh and re-energise during any downtime. What’s your favourite place or thing to do in London? London is the best place for food and theatres. So for this reason, I would say that Marylebone is my favourite place for food options and other than a good meal with my wife and/or friends, my favourite thing to do would be to watch a West End show. In truth, I’m someone who doesn’t need much to be happy, so put me in a nice bar in London with my friends and you won’t see me complaining! 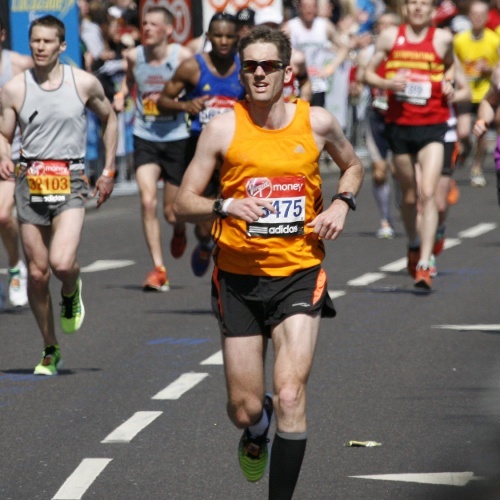 Why massage is so important for marathon runners. Especially marathon runners with desk jobs. Led by Ten’s Physio Director Cheyne Voss, and Physio and running specialist Chris Pollock, the workshops comprise a group session and a one-on-one session video analysis session. It’s most common question we’re asked at Ten. And the answer is usually the same: “It depends on what you’re trying to achieve”.